1 hour Reggae | Dancehall Radio-Mix hosted by Fabi Benz. Broadcasted on November 19th, 2018 on Ablazin Radio FM. With new music from Vybz Kartel, Kes, Jo Mersa Marley ft. Damian Marley, Koffee, Ras Demo (Silly Walks), Teejay ft. Ding Dong, Shenseea, Jah Cure ft. Spragga Benz, Tarrus Riley and much more. 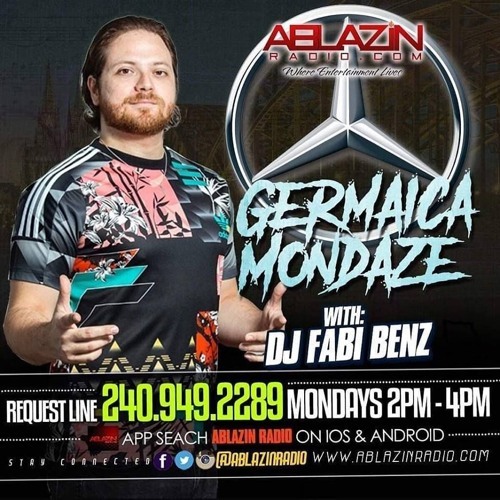 NEW #GermaicaMondaze radio show every Monday on www.ablazinradio.com. Broadcast starts at 8pm EU / 2pm Eastern US time.